The barangay captain who won by landslide in the recent polls in Barangay Magugpo East, Tagum City started a small business making banana chips out from fresh cardava bananas. Thirteen years later, it became a multi-million business, undoubtedly, in fact, now the country’s biggest banana chips’ manufacturer and exporter. Punong barangay-elect Ian Neo, 35 years old, recalls that the family-owned Four Seasons Fruits Corporation (FSFC) he founded in June 2001 started in manual operations with only P200,000 as starting capital. “Instead of using slicing machines, I hired slicers to cut the fresh cardava bananas into desired pieces. For two years, it went on that way. Manual operation is too laborious and has low production, but I never compromised the quality of our products to be accepted for export,” he said. 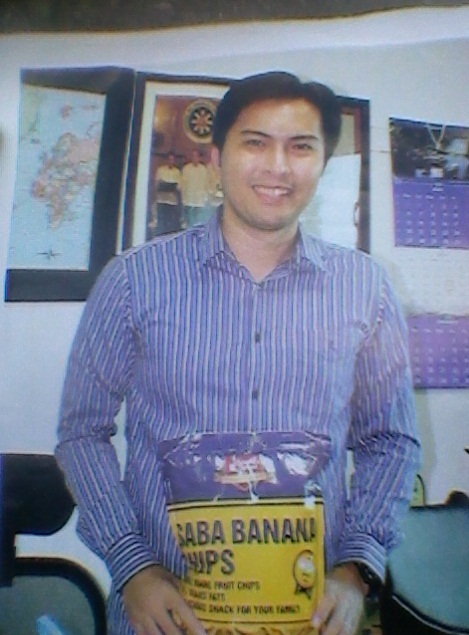 His first buyers were exporters from Davao City and Cagayan de Oro City, and luck suddenly came one day in 2003 when he met a buyer abroad who accepted unlimited supply of FSFC’S quality banana chips, which come in five slices- the round wholes, halves, quarters, brokens and the slants. It was time for FSFC to directly export its banana chips to wholesale importers overseas which would do the repacking and branding for retail consumption. “From there, FSFC had been clutching to its strong operations, forcing us to buy cardavas beyond our usual sources in Davao del Norte and Compostela Valley, and hence, from different parts of Regions XI and XII as far as Cotabato and Caraga region to satisfy the buyers’ demand of 1.56 million kilos of banana chips in every 26 days,” Neo recalled. “As this huge foreign market of our products came along into our way, we were able to acquire a one unit rover and several trucks for hauling of fresh cardava bananas, and transported our finished products to Davao City seaport. We then sharply changed our operation into technological manner using high-tech machines to meet the demand of best-quality products,” he added. “We also bought few hectares of land at Barangay Apokon, Tagum City as the proper location of the manufacturing plant of the Four Seasons Fruits Corporation,” he beamed with pride. Todate, FSFC’s quality banana chips reach the markets of Africa, Canada, European countries, Middle East, Asian and Scandinavian countries and United States. He said that right now the FSFC has a correspondent marketing arm based in Hongkong. But the Kapitan’s company was “deeply affected” by the wrath of vicious typhoon Pablo last December. “Pablo toppled down our near sources and we were forced to procure mainly from far sources, which shot up our transportation and other costs. Our production at present is already considered sold in forward booking for January 2014. The markets we have niched on went shaky and became volatile as our supply was often short of the demand. At times we operated at loss just for our 700 factory workers to continue earning a living. Now we produce only around 1 million kilos from an average of 2 million kilos a month before Pablo,” he recalled his company’s coming on survival throes in the months following the typhoon. But a captain of the banana chips’ industry as he has been through the years in banana-producing Mindanao regions, kapitan-elect Ian is seeing in the near horizon that “by early next year the FSFC will be back to normal” as the newly-planted cardava bananas of farmers in flood-ravaged, typhoon-stricken areas have already grown up and started bearing fruits. There are only four banana chips’ manufacturer-exporters operating in Davao del Norte including FSFC, which is the only locally owned and homegrown among them. There is none in Compostela Valley. Ian is a graduate of Bachelor of Science in Accountancy, major in Management Accounting at the Ateneo de Davao University. After he completed his college degree, he worked first in Metro Bank-Davao City, but his father, outgoing three-termer barangay captain Santiago Neo, urged him to stop from his work and suggested to start a business of his own. And so he started the FSFC small. For his feat in making FSFC big put from cardavas, he was chosen as the national Gawad Saka agri-entrepreneur awardee for the years 2010-2011 as bestowed no less than by President Benigno Aquino III. This entry was posted on November 26, 2013 at 1:18 pm and is filed under Uncategorized with tags Four Seasons Fruits Corporation (FSFC), Ian Neo tagum, Mary Lorraine Neo. You can follow any responses to this entry through the RSS 2.0 feed. You can leave a response, or trackback from your own site.